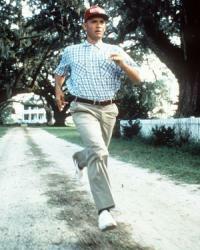 Run, Forrest Run….is the best line for me in the movie…. “Forrest Gump”. According to me, this line starts the story and since then it tells the journey of a guy, who just did, what he felt like doing whole-heartedly…. This movie, opened up many such things inside me, the incidents that took place in the Movie are very versatile in it self. He keeps doing one thing or the other. One of the qualities inside me, I got to realize, after watching this movie repeatedly. The first time, I felt it was realistic because of the fact, money didn’t matter to do things the way you want. You need to back yourself and believe in one’s abilities. Success may be in the form of peace or in the form of people’s trust, but it has always come to the people, who have followed their conscious truthfully. I have seen my friends wondering about this. It was distracting when people tend to react differently from what one expected. In hindsight it was true from the other side as well. There is no end to this. I thought all things must have an end. Well, exits will be there for those which have clear pathways, this behavior of me and the people are circular. It keeps going endlessly. People who tend to criticize always. People who just don’t bother about criticism. Now this is being democratic, as long as I didn’t understand this fact, I had no rights to be a part of Indian democracy or for that matter, support for democracy. Understanding the word ‘Democracy’ helped me gain a lot of knowledge in the way I went about reacting to people in different situations. Now, I don’t feel bad in what I do in my personal life. Professionally we are supposed to adhere to certain disciplines but not at the cost of one’s pristine conscious. Opinion differs and I am just giving my opinion here. The day, I started loving myself, did things I always loved to do, Life started looking different for me. I realized all things in life must come to an end, because we aren’t immortal. But memories aren’t. Hence I am writing this. For me, when I set out to be myself, I was afraid of losing people I love the most. It did inhibit me for a while, later I backed myself by telling…. “The greatest tribute or respect I can give to my loved ones and my close friends and to this world is by being myself and doing things my conscious told me to do and to do it whole-heartedly. If they are my loved ones and close friends they would respect my point of view”. I may not able to rule the world, but I can rule myself. I may not be able to push others, but I can push myself. More importantly, I cannot be sweet and nice to everyone; I can be sweet and nice to myself. I am sure of the fact, if I am nice to myself, I can never hurt anyone, and it’s unfortunate if people didn’t understand this. Probably they never will and that shouldn’t stop from me being myself. And I am not afraid of being myself and for my actions as long as my conscious is right. Coming back, the movie gave me the realization that I am eccentric and I was quite comfortable with it. I believe everyone is!!! I started running the lap of my life for the first time and trust me, except for few miles, I really enjoyed and I am still enjoying and will continue to. People expect me to behave in a certain way irrespective of what I feel, including closed ones. I used to feel little disturbed when I didn’t get to speak to the person I wanted to at that particular moment. “Rajan, I am busy, I hope you understand”. That was enough, I appreciate it. But some of my other friends weren’t clear as to what to say, but they expected me to understand them. No problems again. People start avoiding because they can’t tell clearly that, they don’t want to talk to me, because they wanted to create a feeling within them, that’s gonna make me sweet and hurt me if they were frank. Strictly, it would be always; from their Eyes Only. And others who wanted to talk but just cannot express or couldn’t express. But most of them expect me to understand them. Many would deny, but truth is truth. It was tough because I felt sometimes they were using me. After a long thought, I realized, hey, that’s me. Why feel bad for people using me, after all, if I am helpful for others then why should I worry even though I wont be having any personal gain, but satisfaction is, I am gonna be myself and that’s a gain for the little pain I went through. But, being a novice mentally in this regard, sometimes I do call, but they still expect me to understand them and wait for them to call and I am supposed to receive it, when they are free. Now, I accept calls from anyone at any situation. I shall never question them or remind them of their antics previously. I believe if I like talking to my closed ones and to anyone, I will talk and accept them anytime in any situation. I shall give them their space. “Past is history, you learn from it, you can’t live in it”. Now, I don’t worry that much about it. I have lot of things to do in my life but I am always available to people when they need me. 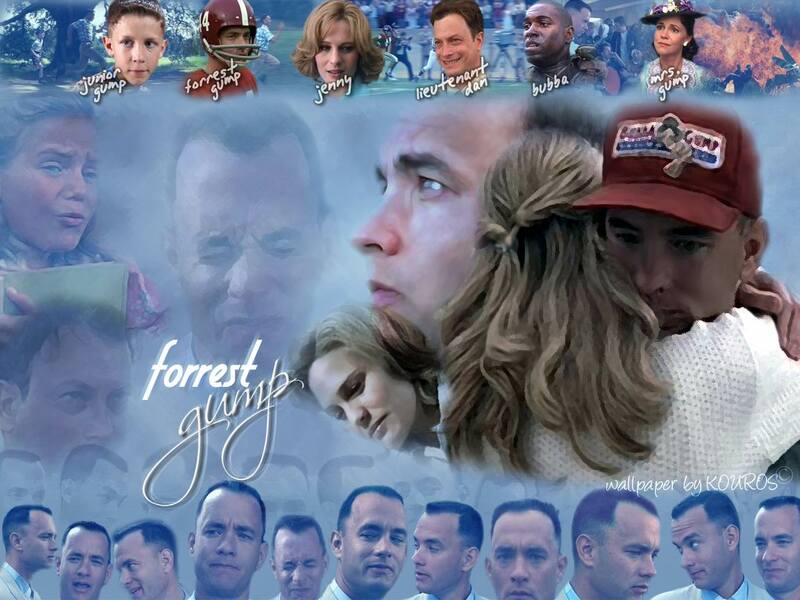 This is something I was, but I saw it in Gump, Forrest Gump…. I have the strength and patience to understand my closed ones and I do take hard measures to understand them because I love them and I respect them for the way they are. Also, I always thought, I was a good wicket keeper and a good soccer goal keeper…. I follow the rule of being a keeper. My job is expected to catch, no matter how tough a catch is or how tough a save is, ultimately I don’t get the reward for the catch, because I am expected to catch or save day in day out. What if I dropped or gave a goal away, I get to hear, “You didn’t live up to our expectations, a bad keeper or a bad goalie”. So I believe in doing my job whole heartedly just like a wicket keeper or a goal keeper in real life. I am expected to catch everything, but can’t drop any….. That’s ok, as I long as I am a wicket keeper or a goal keeper in real life and ready to do it whole heartedly. To tell you, I am indeed…. Dedication to one of my favorite movie idol, who played an important role in answering questions of mine, when others didn’t or couldn’t. Life is beautiful!! !But What is beautiful?? ?